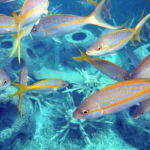 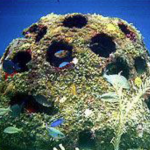 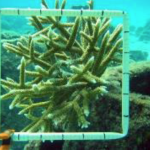 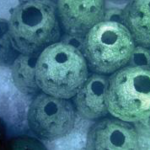 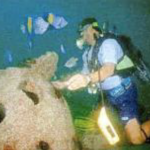 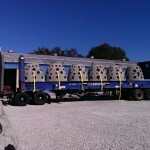 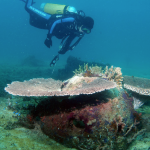 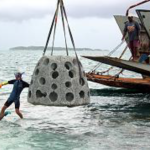 The Reef Ball Foundation, working closely with concrete experts, has developed a typical mix design suitable to create artificial reef modules in complex molds with a minimal pH and to enhance the settlement and growth of typical marine species such as hard corals. 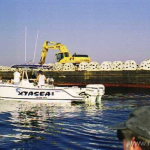 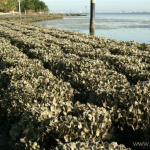 Specific biological goals, such as oyster settlement, may require specialized designs. 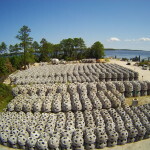 If you can not find local materials to match these specifications because of admixture or cement type availability, there are several acceptable substitutions, contact us for information. 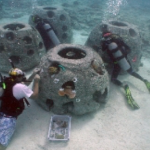 In general, this starting mix design has the highest amount of Portland Cement to help insure that you don’t break your Reef Balls when handling them. 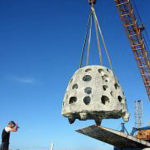 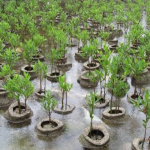 However, Reef Ball usually don’t need this much Portland cement when handled carefully, and there are additional biological benefits of using less cement because this can further reduce concrete pH. 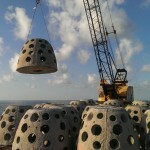 If you are reaching your goal of 95% or better of your modules not being broken you might consider reducing your cement proportions. 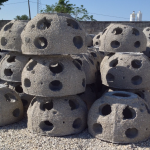 Remember that best concrete practices are required for good pH neutralization; primarily the use of fresh cement, complete mixing, and good curing conditions (high humidity for at least 30 days)….without good practices all the microsilica in the world won’t prevent a high pH.